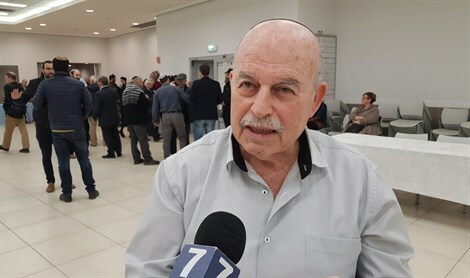 Knesset Member Nissan Slomianski, from the Jewish Home party, , talked to Arutz Sheva about the unification between the Otzma Yehudi with the right wing party and the matter with the Prime Minister, claiming that the move had saved the right-wing bloc. “In the beginning we also objected to adding Otzma Yehudit due to differences in worldviews, and even told the Prime Minister by phone that we would lose votes if he [the Prime Minister] wanted to take them,” Slomianski said. He said the turning point was in a meeting with the prime minister, where the prime minister’s personal surveys were presented to him. “I asked for the surveys on Monday and Tuesday and saw that the Jewish Home with the National Union weren’t in the best of situations. So, it is true that we had not yet managed to reach out to the general public because we were still in contact with Otzma Yehudit, and perhaps we would have risen. However, the second thing we saw in the polls is the issue of the blocs. It was still before the Gantz and Lapid unification, but we saw that the right-wing bloc and the left-wing bloc were almost the same, perhaps by a difference of two seats, maybe not even. So it was clear that the loss of votes of Otzma Yehudit could lead to a victory for the leftist bloc in the election and that would be a disaster. Therefore, out of responsibility mainly to the Gush, we made a decision and changed the approach even though I dd not want to. All this is in order to save another two and a half seats and save the right-wing bloc, and to give us a great momentum and national unity,” explained Slomianski. MK Slomianski notes that the prime minister acted fairy in the agreement with them. “The conditions were that Otzma Yehudit would enter as a technical block and leave us immediately after the elections. In order not to lose votes, we asked the Prime Minister that the 28th Likud seat be secured for the Jewish Home in order to cover the loss of votes expected for the Jewish Home as a result of the unification. We also talked about the Norwegian law and about receiving two significant ministers who are more or less equal. Slomianski later replied to the question as to why no similar agreement was signed with Eli Yishai. Now after the merger, MK Slomianski is optimistic and believes that the prime minister will for the next government. “To my understanding, the prime minister is not worried. From the moment the picture became clear, and the left-wing bloc with the unification between Gantz and Lapid, the Blue and White Party. They will probably draw votes from Meretz that may no pass the threshold. That way three or four seats from the left will be lost. Orly Levy is also not sure she will pass. Netanyahu hopes to draw votes from the lists accompanying the right and perhaps also from the Gantz and Lapid bloc. Toward the end of the interview, Slomianski attacked the decision of the permits committee in not allowing Netanyahu to receive donations to finance his legal representation. Slomianski appreciates ha Mandelblit will allow Netanyahu to appeal to the Supreme Court of Justice before issuing his decision regarding the files.